Many people believe that a pregnant woman should take loads of rest and spend most of her time doing nothing. You might be surprised to read that pregnant women can exercise and get certain benefits. But is exercising dangerous for pregnant women? If it was dangerous, why would doctors and fitness trainers promote it so much? It is true that you cannot do high intensity exercises when pregnant, but you can do light exercises which will keep your body in shape after giving birth to your sweet child. You will naturally feel tired and out of energy when pregnant. Your energies will get even lower if your cardiovascular system isn’t active and your muscles have nothing to do. A regular exercise routine will keep your cardiovascular system in good shape and keep your muscles active. So you will make it through your day without feeling tired or out of energy. 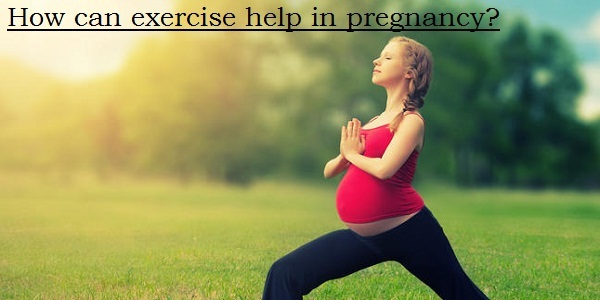 Even a light exercise routine is enough during pregnancy to get good results. Stick to a 30 minute exercise routine if you are not suffering from a certain health problem. In that case, kindly consult it with your doctor or physician. Exercising regularly requires energy, and the energy lost will make you feel tired in a good way. Your body will want to relax! That means you will be able to sleep better. Strengthening body muscles will definitely reduce pain. You should concentrate on exercises that will strengthen your back and abdominal muscles which can hurt a lot during pregnancy. I would suggest swimming to all pregnant women as it is safe and targets multiple joints. It strengthens the back as well, so you will reduce or completely get rid of any back pain that you may be suffering from. You must be strong to go through the extreme stress and pain of giving birth to a child. Stamina and focus is required for a good delivery. If you do not have strong muscles, there is a good chance that your body will not be in a good shape. Not being in a good shape before delivering means that you will probably find giving birth very stressful. Exercising regularly reduces stress and keeps the mind fresh. That is because your body stays active and blood supply to all organs stays good. A woman naturally feels very anxious and overwhelmed during pregnancy. Exercise can help reduce anxiety by boosting production of serotonin, a mood elevator, in the brain. Many women take an extremely long time to recover after giving birth, mainly because their body was not in a good shape and they did not look after themselves during their pregnancy. Keeping your muscles strong by exercising regularly will keep your body in a good shape and will reduce your recovery time after pregnancy. For some women, this benefit is enough to start a regular exercise routine straight away. So if you are conscious about how you look, be sure to start from today after consulting a doctor.